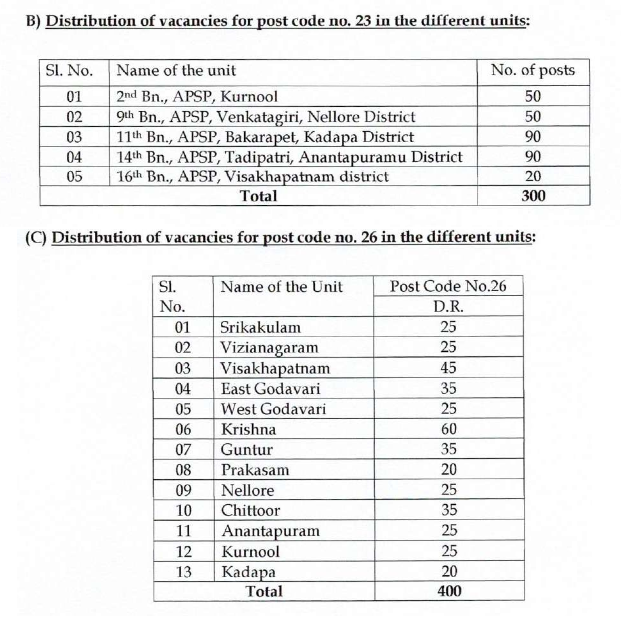 Andhra pradesh state police department is looking for candidates to fit into various constable job vacancies. State police department posts are open for candidates those who are passionate in serving the nation can apply for this AP Govt Jobs as Constables. For further details about the vacancies visit the official website http://slprb.ap.gov.in/. 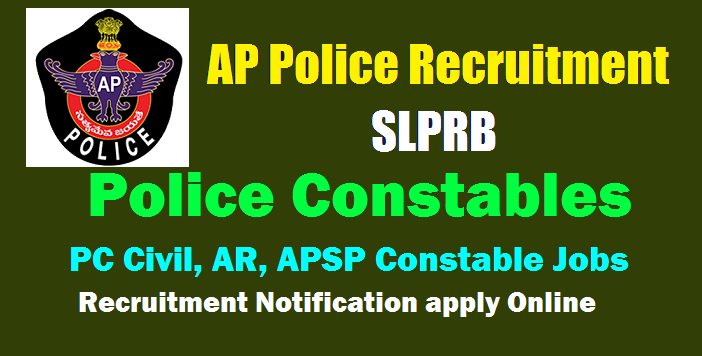 AP ( AP State Level Police Recruitment Board) has published the Police Constables recruitment notification and State Level Police Recruitment Board, Andhra Pradesh (herein after referred as SLPRB, A.P.) invites application through ONLINE mode only in the prescribed proforma to be made available on WEBSITE (http://slprb.ap.gov.in/) from 13-11-2018 to 07-12-2018 for the following posts. The number of vacancies indicated is only provisional and is liable for change without giving any notice. SLPRB, A.P., reserves the right to notify the modifications with regard to any aspect of recruitment during the process of recruitment. Candidates those who are willing and eligible can apply for AP Police Constables 2018 Notification. From 12th November 2018 to 07th December 2018 candidates can apply. 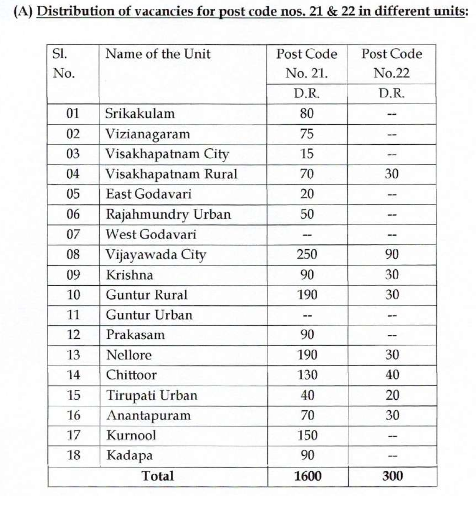 Candidates can apply for AP Constables Notification through online mode. http://slprb.ap.gov.in/ is the link to apply. Certificates to be brought by candidate at the time of Physical Measurement Test:At the time of Physical Measurement Test, the candidates shall bring, IN PERSON, the following documents in original along with one set of Xerox copy duly attested by a Gazetted Officer while coming for attending Physical Measurement (PM) & Physical Efficiency Test (PET) compulsorily. a) Secondary School/Matriculation certificate or equivalent certificate in support of the date of birth. e) Certificate from the competent authority in respect of State Government employees/those who worked in the Army, Navy or Air Force of the Indian Union/NCC Instructors/ retrenched temporary employees in the State Census Department during 1991 for claiming age concession. f)Residence certificate in the agency area from the competent authority in respect of candidates belonging to Scheduled tribes and Aboriginal Tribes in the agency areas who claim relaxation in Physical Measurements or reservation. g) Home Guards Service Certificate/Certificate of CPP, wherever applicable. h) Ex-servicemen certificate/NCC A,B,C certificate etc., wherever applicable. Final Written Test:The Physical Measurement Test and Physical Efficiency Test is likely to be held in Jan/Feb,2019 . The Final Written Examination is likely to be held in the firstweek of NJan/Feb,2019 2018.